Samsung will spend $1.5 billion on its semiconductor factory in Texas and build a $380 million plant in South Carolina for home appliances. South-Korean tech giant, Samsun Electronics announced investments worth $1.9 billion in two US plants as South Korean President, Moon Jae-in prepares for a summit with US President Donald Trump. 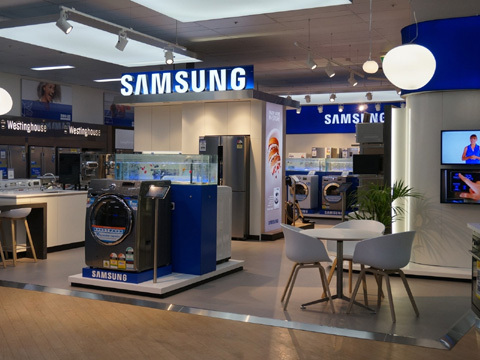 Samsung will spend $1.5 billion on its semiconductor factory in Texas and build a $380 million plant in South Carolina for home appliances. According to statements from the company and South Korea’s chamber of commerce, both investments will be carried out until 2020. The announcements come just ahead of Moon’s first summit with the US president, who has been a vocal critic of a free trade agreement and described it as a “a one-way street.” South Korea’s trade surplus with the US has doubled since before the agreement took effect in 2012. However, according to the Export-Import Bank of Korea, direct investment in the U.S. rose more than 140 percent in the first quarter of this year compared with the same period last year. According to the company, Samsung employs about 3000 people in its Austin factory and has invested a total of $17 billion since the plant began operating in 1998. The Suwon, South Korea-based company has spent $1 billion this year alone to increase its capacity to manufacture chips that power smartphones, tablet computers and other mobile devices. Samsung Electronics Vice-Chairman Kwon Oh-hyun joined Moon’s delegation along with dozens of executives from companies such as Hyundai Motor. In February, Trump tweeted, "Thank you, @Samsung! We would love to have you!," citing a report that the company might build a US factory to produce home appliances.